Two of the most popular low-carb diets today are the Atkins and ketogenic (keto) diets. Apart from being low in carbohydrates, these two regimens share many similarities, but they are not the same. Here’s a closer look at the Atkins and ketogenic diets. This regimen aids weight loss because the restriction of carbohydrates forces the body to burn stored body fat instead of the glucose produced from carbohydrates. This effectively puts the body into a state of ketosis. The most important stage of the Atkins diet is the induction phase, which lasts for two weeks. During this period, you need to keep your carbohydrate intake below 20 grams per day. Since the average person consumes 250 grams of carbs a day, the induction period is also the most challenging part of this program. At this stage, your food intake should come from allowed vegetables, meats, poultry, fish, and shellfish. You should also increase your water consumption. (4) As the induction phase is the most restrictive aspect of the Atkins diet, you are not allowed to eat high carb vegetables (potatoes, sweet potatoes, turnips, carrots, peas, and others), high carb fruits (bananas, oranges, apples, grapes, and pears), as well as legumes (chickpeas, beans, and lentils). Because of the dietary limitations, most dieters lose a significant amount of weight during the induction phase. You can lose an average of 2.5–5 kilograms (5–10 lbs) or more with the help of exercise. Also known as the Ongoing Weight Loss Phase, the Balancing stage is the stage where you slowly add more carbs back to your diet. The amount of carbohydrates you add should be low enough that you can continue to lose weight. Every individual’s tolerance to carbs is different so, during this period, your goal is to find the maximum amount of carbohydrates you can consume daily while still losing around 1–3 lbs. per week. The length of the balancing phase depends on your current weight and your weight loss goals, but, generally, it lasts until you only have between 5 to 10 lbs. left to lose. For some, it takes two months and for others, two years. The third phase of the Atkins diet is the Fine-Tuning stage, where your intake of carbohydrates is increased by 10 grams per week. During this period, you can eat pasta, bread, and other starchy foods, but the amount should be kept way below the average level. The Fine-Tuning phase lasts until the time your weight loss goes down to 1 lb per week. As the name indicates, the Maintenance phase is the period when you maintain the healthy lifestyle changes in your weight and eating habits. At this stage, you can start adding more carbohydrates to your diet but go for healthy, complex carbs and avoid simple, processed carbs. You can return to phase 3 if you start gaining weight again. There’s a reason why the Atkins diet is still one of the most popular regimens for weight management, but it doesn’t work for everyone. It puts the body in ketosis, which burns the body’s stored fats instead of carbohydrates for energy. This means you won’t feel hunger pangs unlike in other diet regimens. It is flexible because you can add carbohydrates to your diet once you reach a certain tolerance level. It is ideal for meat lovers because the list of allowable foods contains many types of meat that are low in fat and high in energy. It can cause constipation, especially in the early phase, because the diet is low in fiber. You can be at risk of weight gain relapse if you don’t strictly follow the regimen. This is why following the Atkins diet often requires making several lifestyle changes. The keto diet may be one of the most popular diets today, but it has been around since the 1920s when it was originally developed to combat symptoms of epilepsy. (9) The appearance of anti-epileptic drugs in the 1930s, however, made the keto diet unnecessary. To achieve a ketogenic state, dieters need to follow a certain ratio when consuming macros. Thus, different types of keto diet have emerged depending on the goals of the dieter. The Standard Ketogenic Diet (SKD) is the typical keto diet; it is very low in carbs, moderate in proteins, and high in fat. Generally, SKD contains 75% fat, 20% protein, and 5% carbs. The high-protein ketogenic diet is similar to SKD but has more protein, with a ratio that is usually 60% fat, 35% protein, and 5% carbs. The Cyclical Ketogenic Diet (CKD) involves periods or days of keto and periods of higher-carb refeeds, the most common of which is following a keto diet during the weekdays and having high-carb meals during the weekends. The Targeted Ketogenic Diet (TKD) allows dieters to add carbs around their workouts. CKD and TKD were primarily developed for athletes, bodybuilders, and other individuals who want to build muscles mass because building muscle requires glucose, which dieters can get from consuming carbs. Like Atkins, the ketogenic diet has its own set of pros and cons that you need to consider before deciding whether this regimen is right for you. It can be beneficial for people who are at risk of diabetes because carb intake is strictly monitored. It can help you lose weight without hunger pangs because protein and fat make you feel fuller longer. While there are plenty of reasons to try low-carb diets to lose weight, remember that you shouldn’t cut carbohydrates completely from your diet because you don’t want to be at risk of micronutrient deficiency. It’s also important to identify the factors that are possibly contributing to your weight gain, such as genetics, stress, diseases, diet, and others to help you better decide whether the Atkins or keto diets are right for you. Finally, you need to consult with your physician or nutritionist before making any major changes to your diet to avoid adverse effects on your health. Wendi Garcia. "The Difference Between the Atkins and Ketogenic Diets." DifferenceBetween.net. January 30, 2017 < http://www.differencebetween.net/science/health/the-difference-between-the-atkins-and-ketogenic-diets/ >. 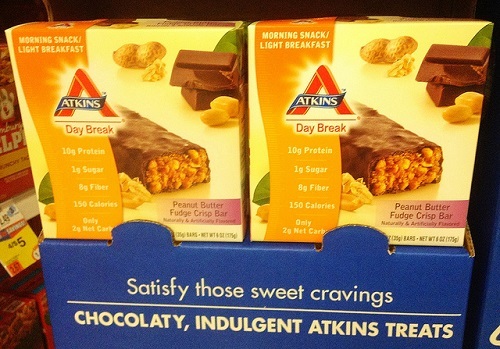 Didn’t Dr. Atkins die of heart disease? Dr. Atkins died on April 17, 2003, at the age of 72.Atkins official death certificate states the cause of death as “Blunt impact injury of head with epidural hematoma”.Nine days prior to his death, Atkins fell and hit his head on an icy New York pavement. At New York’s Weill Cornell Medical Center, where he was admitted on April 8, he underwent surgery to remove a blood clot from his brain but went into a coma and died from complications. He spent nine days in intensive care before dying on April 17, 2003. What tips for the rollercoaster effects of weight loss vs gain after being in the ket o diet? Saturated fat is safe according to the meat and dairy industry that funded lobbyists to sway public perception in 1977 after Jimmy Carter tried to pass the “Dietary guidelines for Americans.” Fruits, vegetables, grains, beans and legumes are not your enemy and did not make you fat. Fat you eat is the fat you wear! That’s cute Travis. Did you get that info from a Netflix documentary? You should know most of the lobbying came from the grain manufacturing community. The same one that led to the backwards food pyramid we see to date. It was eggs, bacon, butter, milk, beef that became the real “bad guy”. Eat more Special K and Cheerios they told us. Have 2 or 3 bowls in fact. It’s extremely cheap to produce and keeps you addicted, so why not? Everything became, low-fat, or no-fat. You got this completely backwards Travis. In fact, part of Atkins career was spent on fighting the lobbyist who wanted to convince Americans that grains are “heart healthy”. Not hard to see the motive there. Atkins knew better. That’s because he was an actual medical doctor and scientist, unaffiliated with any special interest groups, who saw a disturbing trend taking over the federal message on nutrition. The “Aktins Diet” was a direct response to the disinformation being perpetrated between the food lobbies, the FDA and the mainstream medical community involved in kickbacks, the same one I will remind you that is all too eager to shell out pharmaceuticals to everyone and their pets. The grain farmers (which includes corn) are the most heavily subsidized in the US. Follow the money trail Travis. You think you have this wrapped up but you don’t. Read “Wheat Belly” by Dr. William Davis and learn the reality of the grain industry and the stock market. As well as the detrimental effects of grain in our body. That’s not accurate at all. High intake of carbohydrates are what make people fat. I’ve been doing a low carb diet for a long time, legumes, veggies, fruits and grains are all parts of my diet. Misinformation, like you’re putting out there, is what makes people fat. I like how this have little numbers in parenthesis like they’re posting sources but there’s litterally not one. This was very informative and easy to understand. Thankyou! Lbs in a year my age 43. The plan is a life style plan and you have to stay vigilant just like any life style plan. I didn’t and gained some weight back. I am starting the plan again and intend to make it my life style plan. I was interested in the difference between these to plans and I am going to lose the 27 lbs I gained with Atkins. It took me 17 years to gain the 27 lbs. I am back to taking it off and 40 lbs more so I can spend time with my grandkids and be a healthy Great Grand mother. Everyone it works if you work it. Good luck and God bless. Having Diabetes Type 2 may endanger your kidneys which are at risk with that disease. Or maybe not. I’m not a doctor but I do know that eating lots of carbs keeps my blood sugar level high and makes me fatigued. But I don’t want kidney problems, either. So, what’s to do?